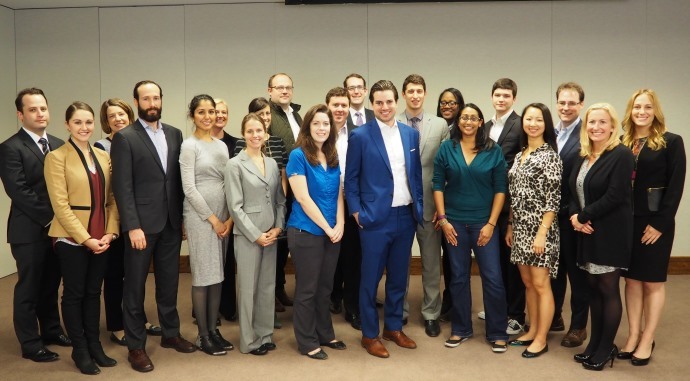 The CBF Young Professionals Board is a group of young attorneys and other professionals working in related fields who are dedicated to helping the CBF further its mission of improving access to justice for people in need and making the legal system more fair and efficient for everyone. The YPB aims to increase the involvement of younger members of the legal community in the CBF’s work and to complement the award-winning public service work of the CBA Young Lawyers Section (YLS). The YPB takes a lead role in planning Passport to Chicago. The YPB’s events are designed to increase awareness of the CBF’s work among young professionals, to raise funds for the CBF, and to foster a sense of community within the YPB and with the CBF and YLS. The YPB also plays an active role in the CBF Fall Benefit and the event’s silent auction. Additionally, the YPB assists the CBF board on grants and other initiatives. The YPB Brochure has more information on the YPB’s events, projects, partnerships and other leadership. If you are interested in learning more about the YPB or how you can get involved, please contact Angela Inzano, Program Manager, at ainzano@chicagobar.org or (312) 554-4952.